Jellyfish Mobile is changing the way creative teams all over the world produce video content. Designed by a team of Hollywood filmmakers, editors, and colorists, this little server has the power to change the way you think about shared storage and your entire post-production workflow. Your Jellyfish Mobile is designed to be used without a switch. Users can connect directly into the onboard 1GbE or 10GbE ports. 32TB = 32TB raw / 23TB Avail. 48TB = 48TB raw / 35TB Avail. 64TB = 64TB raw / 46TB Avail. 80TB = 80TB raw / 58TB Avail. 96TB = 96TB raw / 70TB Avail. 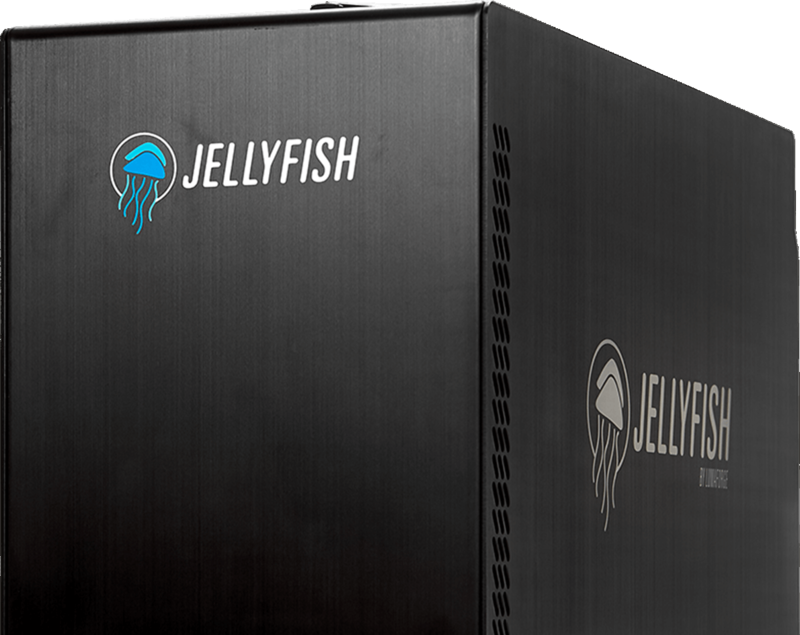 Every Jellyfish Mobile can connect up to 2 Jellyfish Mobile Expansion chassis of any capacity. Jellyfish is designed for "IT Free" operation and management. Easy to use web-based admin panel makes it easy to check the health of the system, swap out HDD, and make changes without ever entering the command line. Users with IT personnel will be able to easily take advantage of additional Jellyfish functionality such as permissions management, remote access, and various backup options. Jellyfish includes unlimited use of ShareClient "3 Click" mounting tool for macOS (cross platform mounting application coming soon).